3DEXPERIENCE Company Dassault Systèmes yesterday announced Release 2014x of its 3DEXPERIENCE platform’s on-premise and on-the-cloud portfolio of Industry Solution Experiences. According to the company’s press release, all early users of the 3DEXPERIENCE platform are extremely satisfied with the product, claiming that the cloud-based social collaboration has been greatly beneficial to their business and describe its user experience as very easy to learn and use. “It took us 20 minutes to get up and running on the 3DEXPERIENCE platform. It is a fun environment to operate in. It is very intuitive. All of the modelling is on line, on the Cloud and available to the factory floor immediately,” said Jonathan Mallie, Principal of SHoP Architects and Managing Principal of SHoP Construction. “With SOLIDWORKS Mechanical Conceptual 2014x on the 3DEXPERIENCE platform, we were able to do four process revisions by the time our competitors were only doing their secondary revision. The key reason for that is the collaborative aspect of Mechanical Conceptual, which permitted our customers to log in, see real time updates of the process and share ideas with us through the blog,” said William MacLeod, Senior Engineer, Kennedy Hygiene. Release 2014x of the 3DEXPERIENCE platform will be available to all customers on February 24, 2014. “The 3DEXPERIENCE platform is a platform for all. Through key web-like social apps and user experiences, we provide a business platform to create and innovate consumer experiences, from product to point-of-sale. There are Industry Solution Experiences for business units and brand applications for day-to-day users,” said Dominique Florack, Senior Executive Vice President, Products, R&D, Dassault Systèmes. “Business in the Age of Experience is all about connecting people, ideas, data and solutions to create experiences that delight ultimate consumers and inspire brand loyalty. The power of the 3DEXPERIENCE platform with its intuitive, unified navigational interface and social collaboration apps will ignite the cross-functions value stream which is needed to create consumer experiences that are differentiating,” said Monica Menghini, Executive Vice President, Industry & Marketing, Dassault Systèmes. 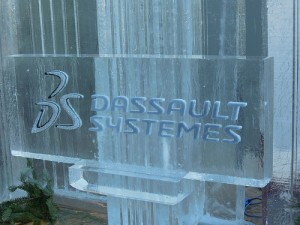 Dassault Systèmes is a world leader in 3D design software, 3D Digital Mock Up and Product Lifecycle Management (PLM) solutions. Release 2014x includes an on-premise portfolio of 41 Industry Solution Experiences and their 183 processes, as well as a dedicated cloud portfolio of 14 Industry Solution Experiences, with over 60 processes, suitable for businesses of any size. For the complete list of Release 2014x offers and operating conditions, visit http://www.3ds.com/products-services/whats-new/.